At the core of our technology services are a number of essentials to help anyone conducting market research in any of our viewing facilities. We offer free, fast Wi-Fi throughout all of our facilities in Aspect with dedicated internet connections for streaming services so that we can always guarantee a high quality connection without any interruptions or disruption. We have on-site it support at Aspect; they are always on hand to ensure the smooth running of all our tech services in addition to providing assistance in case of last minute emergencies with research set up. 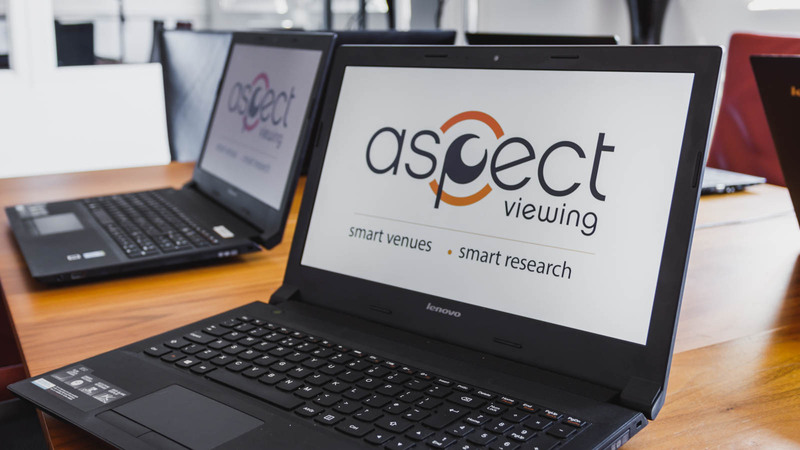 Large screen plasma screens are connected in all of our rooms at Aspect, so whether you’re using them to view the research or are in the participant studio testing new advertising campaigns, they will all be displayed in the highest quality. All of our TV’s are setup to support projection via Laptop with necessary cables provided. All of our studios are equipped with fixed lines and telephones which have the capacity to be used for conference calls either for listening or cross communication. As part of our office services, we have printers which can produce documents in full colour, on paper sizes up for A3 with finishing options which include collating and stapling for your ease and convenience. Our printers have the capacity to rapidly scan and copy documents to be reproduced on paper, in full colour, black and white and up to a size of A3, or to be digitally stored and distributed as either JPEG or PDF files.